LIKE the cigar-chomping Clay Morrow in the hit Netflix series Sons of Anarchy, St Enda’s boss Declan Steele is urging his ‘prospects’ to earn their cut when they step out against Davitt’s in the Intermediate Football Championship on Saturday. For a number of seasons, St Enda’s have been earmarked as a side to watch. Blessed with some of the finest young footballers in the county, St Enda’s were tipped by many to go close to the Intermediate title last year, but they were beaten by Dunloy at the quarter-final stage. A year older and a year wiser, St Enda’s are, once again, one of the leading fancies for silverware and Steele has challenged his side to fulfill their undoubted potential. “That is something we have been trying to drill into them this season,” said Steele. “The players like Conan (Lyttle), Ruairi (Scott), Peter (Healy) and Odhran (Eastwood) are all around 20 or 21 years of age. Now is the time for them to step up. While Steele knows his side are capable of making a strong challenge for the Intermediate Championship, he concedes the competition is fierce. “I think of all the Championships, the Intermediate Football Championship is the most competitive,” added Steele. St Enda’s have a number of injury concerns ahead of Saturday’s Championship clash with captain Conor Maxwell already ruled out with a knee injury. Antrim star Peter Healy is easing his way back to fitness following a groin injury sustained prior to the Qualifier defeat to Sligo earlier in the summer. “We have had a good year,” said Steele. “We had a blip there in mid-season when we lost three consecutive matches. “That was down to a combination of five or six injuries to key players and have a few guys away on holiday. “Slowly but surely, we are starting to get our squad out, but at he same time, we have now lost another two key players. “Damien Gault and Kristen Healy suffered bad head injuries last weekend against Moneyglass. “It remains to be seen if they are going to be fit to play on Saturday. “We are looking forward to the challenge against Davitt’s. We are not in any way underestimating the challenge they will present to us. “Conor Maxwell, our captain is out with a knee injury. Peter (Healy) is starting to work his way back to fitness. “He was missing for about seven weeks. He played half an hour against Moneyglass. St Enda’s remain in contention for the second promotion berth in Division Two with just two games remaining. The Glengormley side have a game in hand (against St Brigid’s) before facing Division Two champions Glenavy in the final game of the season. Steele knows his side cannot afford to get carried away with the prospect of promotion which such an important Championship game looming this weekend. 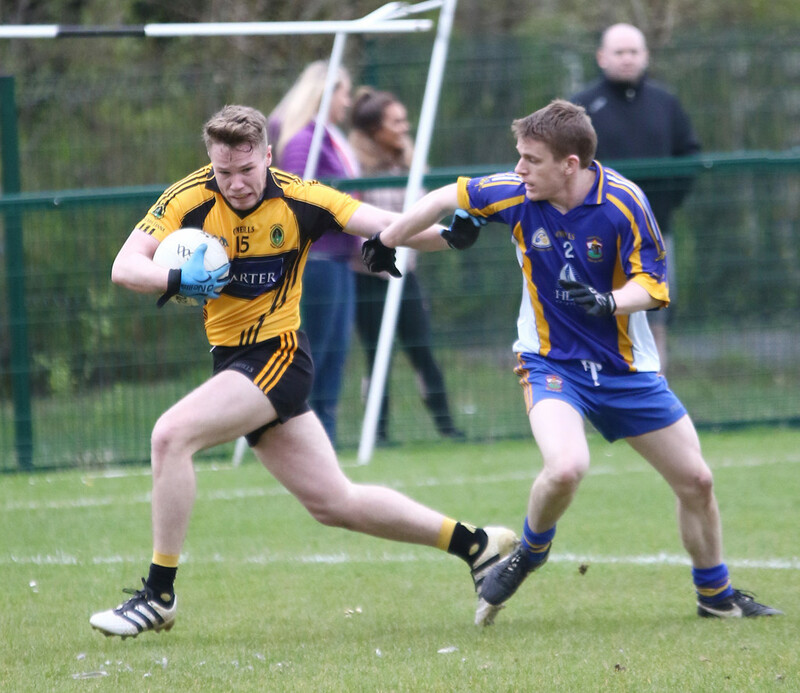 While St Enda’s will be hoping to seal a place in Division One in the coming weeks, their Championship opponents Davitt’s staved off the threat of relegation last weekend with a win over Dunloy. Manager Michael Brady feel his side are a match for anyone when they are at full strength, but he will be without Crusaders goalkeeper Sean O’Neill on Saturday. Although his Irish League commitments would have ruled him out, the Davitt’s midfielder is currently sidelined through injury. Davitt’s will be hoping to banish the memories of last year’s Championship capitulation when they suffered a 3-21 to 0-1 first round defeat at the hand of Aldergrove. “It was a disaster – it was embarrassing,” recalled Brady. “That’s what I have been emphasising over the last few weeks – we can’t go down that road again. It was tough to watch. We gave up after 10 or 15 minutes.